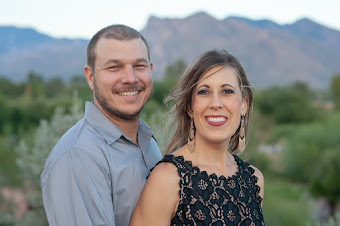 This week was a hard week and I haven't blogged about it yet, so I figured it's about time. I have been getting Madi and Ramya tested through our local school district. It's not so they can attend school, as they will be homeschooling, but so that I can apply for an ESA for them. 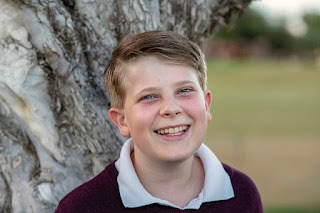 In Arizona, a child with a disability who is not attending a public school can get extra money to be used towards curriculum, therapies, and also to save for college. You go through testing in the district and whatever extra money the district would get for that child, based on the services they would qualify for, you can get instead. They both need 100 days of public school (we will be doing k-12 online), and then we can apply, now that the testing is done. We plan to use the money towards extra therapies (fun ones, like music therapy), curriculum, and therapeutic riding lessons. Earlier this week I went in for Ramya's testing results. I was a bit taken back by them and am still trying to process it all and come up with a game plan. Ramya's IQ came back at 58 using the Woodcock-Johnson Test of Cognitive Abilities. That rates her at "very low", and according to them, she is intellectually disabled. I expected Ramya's test scores to be low. Not only do you have the lack of consistent care, nutrition, and educational activities the first 5 years of her life, but she also has only been home 1 year so she hasn't had time to catch up on language, experiences, and life yet. She's still trying to figure out this thing called family as well. Then you add in her emotional needs, low attention span, and food issues, and things get a little more complicated. But the truth is, I knew something was going on. She really struggles with retaining information, and so many times, I have wondered what I was doing wrong. For example, we work daily on letters. We do one letter a week. We write our letters in sand, in salt, make them with play-dough, form them with handwriting without tears blocks, write them, paint them, make them in shaving cream, make them with wiki sticks, make an alphabet book, look for them in books, read alphabet books, trace them on textured letter puzzles, and the list goes on (and on, and on, and on...). We also review our letters consistently. I think after this year, she possibly remembers about 6-8 of them, with most of those being the letters in her name (but she can now remember most of her name WITHOUT prompting... this is HUGE!). We also work on counting daily with one-to-one correspondence. I thought she had counting to ten, but most days, it's gone again. She is still skipping many numbers. I really did not expect her to test so low, though, and it's taken me back a bit. She scored pretty well in verbal (in the 70's), but auditory and visual processing, memory, and all of the other areas were mostly in the 50's. It's tricky because she is very verbal, so it's easy to assume she understands, but that's not always the case. The teachers (OT, PT, psychologist, special education teacher, and speech teacher were all there) were very supportive and encouraging. 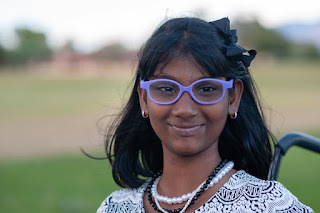 They said that even though IQ doesn't often change much, they think in Ramya's case there is good reason to think once she gets more experiences and gets more time to catch up, we will see her IQ numbers move. I completely agree! I KNOW she is smart, I just have to figure out the best ways to work with her to help her succeed. They also said I am doing all of the right things with her. They said she will just need repetition and that I have to keep doing those things over and over again. I also have an appointment coming up with a developmental pediatrician at the Melmed center and I am looking forward to getting feedback from them in addition. I am also going to use some of the extra money we get for her for tutoring. I want to bring in a tutor that is very knowledgeable in helping kiddos with special needs to work with her and also to help coach me in how to best help her. I am also looking in to auditory and visual processing therapy see if that may help. Right now I am so very thankful to have my background in Education (I have my Master's degree in elementary education, a reading endorsement, and an SEI endorsement). I really believe my background will help with teaching her, and I am so thankful God primed me to be her teacher! We also have a lot of resources available to us, and am I thankful for that as well. I am stumbling through a plan of attack, but it's slowly coming along and I now have more peace about how to proceed. 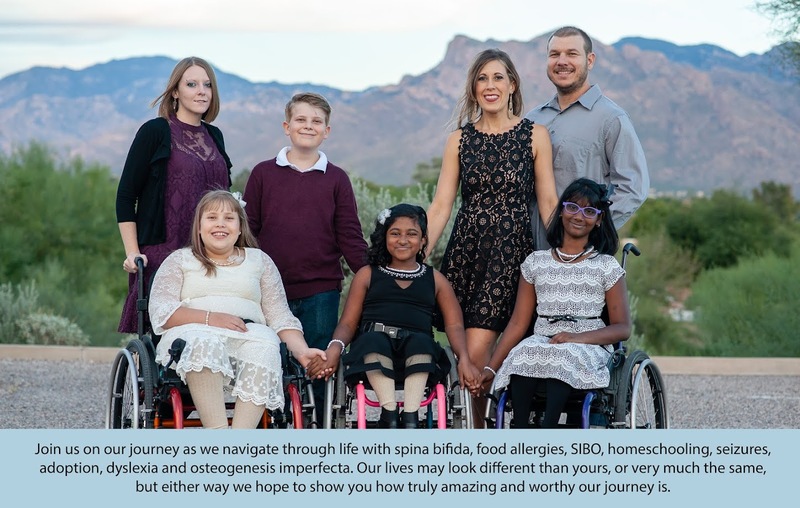 When looking back at this past year and how far Ramya has come, it's amazing to see the huge strides she has made. When she first came home, she couldn't hold scissors. When she could finally hold them, she didn't have enough strength to close them. Now she can hold a paper in one hand and scissors in the other and cut a basic shape. She used to know how to hold a pencil, but could do nothing more than make very tiny lines on paper. Now she is able to draw some of her shapes, and is even creating drawings on her own. When I sat down with her a few days ago, she drew a picture of herself that actually included eyes, a smile, and a body! She can mostly remember her name and how to write it, and can also spell it out loud most of the time. She knows her basic shapes and colors, and remembers about 6-8 letters. She can recognize a few written numbers as well. Even though learning seems slow at times, she IS learning and is making a lot of improvement. Her English is also coming right along and she speaks in full, clear sentences. Oh, and the singing.... there is lots and lots of singing ;). Please keep us all in your prayers. 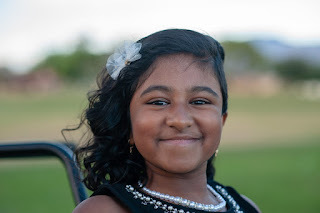 Between Ramya's newly diagnosed food allergies and trying to figure all of that out, our upcoming trip to Boston for a second opinion on Madi's upcoming surgery, Madi's upcoming surgery (June 2nd), and the rest of life, of course, there is a lot going on right now. David and I are a good team and the kiddos are rock stars, but there are moments that can still feel stressful none-the-less. The other day I had to make so many phone calls, my phone was dead before lunch. Those are days I just don't love. 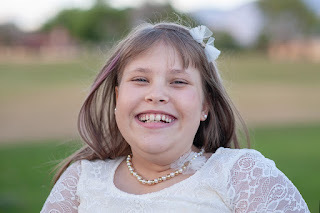 Please pay for peace that surpasses all understanding, clear direction on how to proceed with Madi's surgery, the right therapists and strategies to help Ramya, and lots of days of fun and laughter sprinkled in between. We are so thankful for our village and all of your prayers!